Thanks to lots of hype you’ve been convinced that selling your home on your own is the way to go. Presented here are five very simple reasons why you may want to think twice about venturing down that often long and bumpy road. 1. Your real estate agent will keep the buyers at bay; it’s very easy to be taken by a hard luck story. When you are dealing with purchasers directly, it can be way too easy to get your heart strings involved. As a real estate agent myself, I have actually listed my home with another agent for this very reason. When dealing with what it most likely your single, biggest investment, you want to be able to keep it about business. It’s hard knowing that if only the buyers had an extra few thousand dollars that the deal would work, but those darn medical bills for their Husky Violet has dashed their dreams of owning your home. Don’t you think you could throw them a little cash on closing to get the deal? If you’re a dog lover like I am, you’d probably consider it. An agent working on your behalf might not be so gullible. 2. Your real estate agent will market your property on your behalf, at no upfront cost to you. There are an amazing amount of web sites and publications devoted to helping the private sale seller get their homes sold. Funny thing is, they all cost money and offer no guarantee. It takes time to get to know which avenues are beneficial and which ones are a waste of time. A real estate agent already has the answers and knows which forums to use to give them the most bang for their advertising bucks. This experience can prove invaluable for your pocket book. 3. You can take your weekends off; your agent is there for you. They handle the buyers from the initial call to the showings. You don’t have to skip ice skating with the kids to wait for buyers that may or may not show to see your house. That’s what you have a real estate agent for. 4. You don’t need to pay an expensive home stager; Realtors know what works and what doesn’t when it comes to selling property. They are there to offer advice and recommendations to better market your home. They know what buyers are looking for, and are aware of popular trends in design and color. You don’t have to pay for this expertise until closing day, and there is no hourly fee or consultation charge. 5. 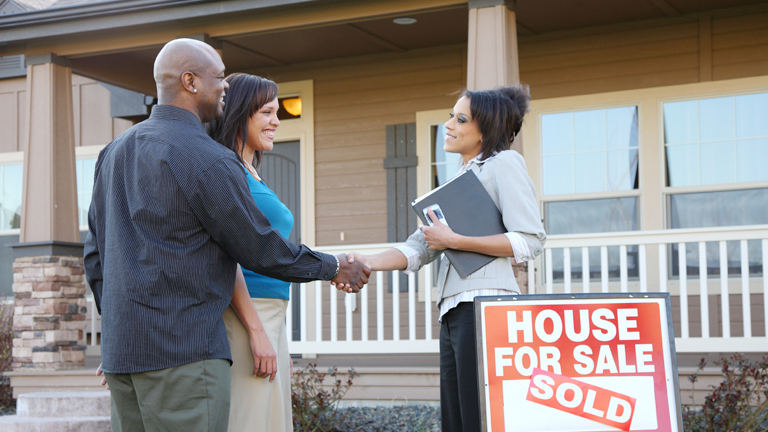 Perhaps one of the most important reasons to use a Realtor is the protection they can offer. With proper forms and contracts, continuous education and retraining, area expertise, and more, your real estate agent can actually help you to avoid legal pitfalls down the road. Are you aware of full disclosure? Do you know what a property condition disclosure statement is and the risks involved? Do you have errors and omissions insurance protecting you if a sue-happy buyer decides to take you to task? Your Realtor does. This is not an area that you have to face on your own. Realtors are here to help. For the most part, you only have to pay an agent if they actually sell your home. Why would you put yourself through the stress of selling, without having a professional on your side? Be the first to comment on "Reasons to Use a Real Estate Agent"